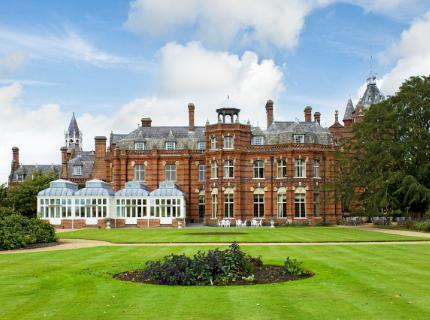 The Elvetham is always a popular venue for weddings and has the most stunning interior decor. Having been to the venue a number of times in the past with fountains we knew we were in for a good night! The weather held off for Victoria & Lee's wedding and we had a glimmer of sun! A rare sight these days! After a huge wedding breakfast you's have thought that everyone would be 'stuffed'... you can always make room for chocolate! A fantastic night topped off with great guests and a great atmosphere.....and at a stunning venue. Check the full gallery on our website.